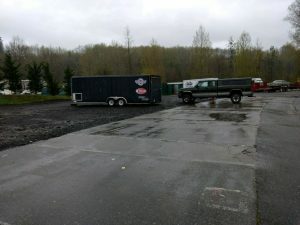 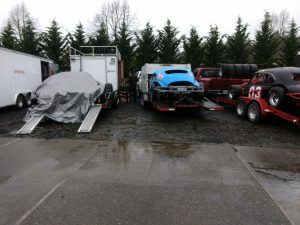 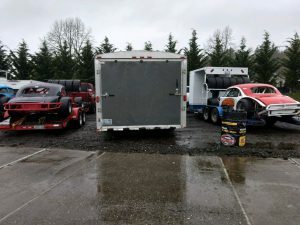 Last year our first race of the season was April 14th 2018 at Evergreen Speedway in Monroe. 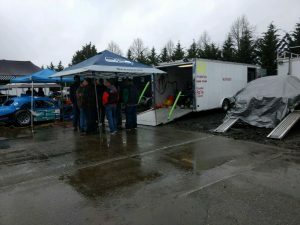 Evergreen doesn’t call the race a ‘rain-out’ until the very last minute of pour down rain. 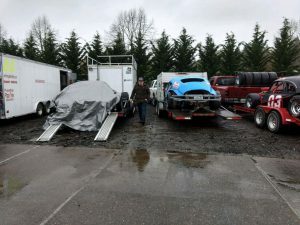 Enjoy these pictures from last years first race. 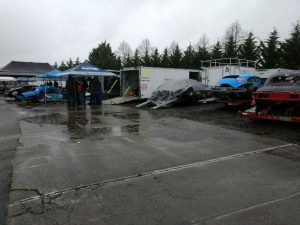 What a wet day. 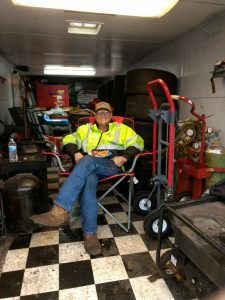 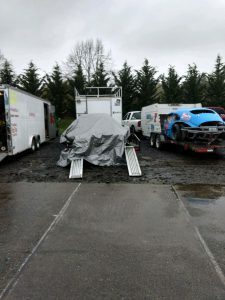 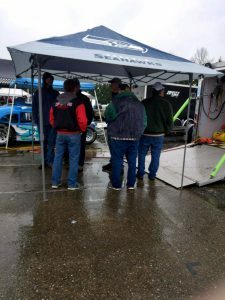 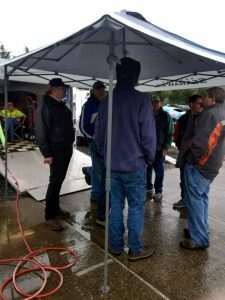 Evergreen Speedway was not going to call a ‘Rain-Out’ for Vintage Modified Racing Association, so several teams showed-up and sported the rainy-day. 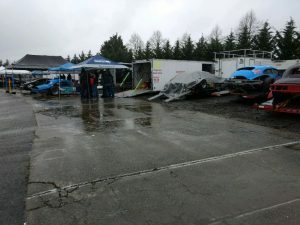 The drivers never did get their cars onto the track, and only one car actually backed off their trailer. 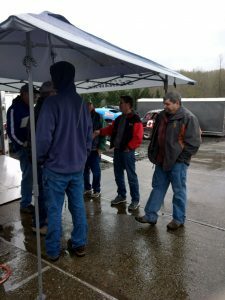 However, in spite of the rain everyone had a fun day. 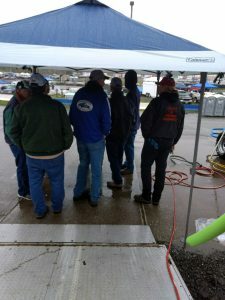 For the teams that could not make it to the track, we don’t race by the mail carriers motto… NOT WIND – NOR RAIN – NOR SLEET – NOR HAIL… many teams travel a great distance to race in this traveling club, we know if you could have been there today, you would have been there today. 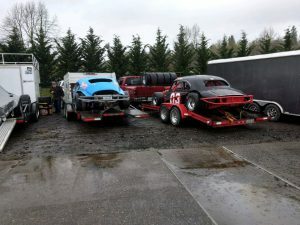 So at 3:30 pm Evergreen Speedway finally called it a rain out for Vintage Modified Racing Association, this club is amazing. 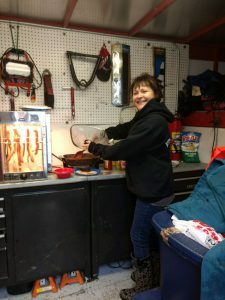 Thank you to MicRobert’s Kitchen for feeding the teams. 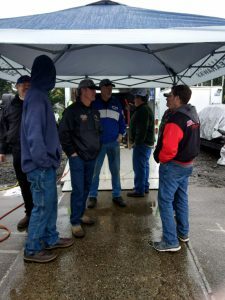 A great fellowship day, rain or not.